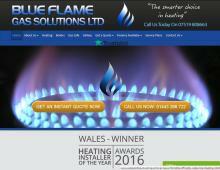 Blue Flame Gas Solutions Ltd located in Rhondda Cynon Taff specialise in heating and boilers in Mid Glamorgan. As a well-established gas engineer in South Wales they offer a range of domestic and commercial services for your central heating in Rhondda, Cardiff, Bridgend and local areas. Struggling with costly boiler repairs and faulty heating systems and looking for a free boiler in South Wales? You can apply for Blue Flame’s incredible finance options today! They also provide Gas Safe Certification, boiler service & maintenance plans and offer finance options for boilers in Mid Glamorgan and Cardiff. If you are looking for an affordable boiler repair in Pontypridd, someone to supply a combi boiler in Bridgend or a reliable Worcester boiler in Llantrisant, contact Blue Safe Gas Solutions Limited for a free quotation. Blue Safe Gas Solutions Limited – your local gas engineer in South Wales!